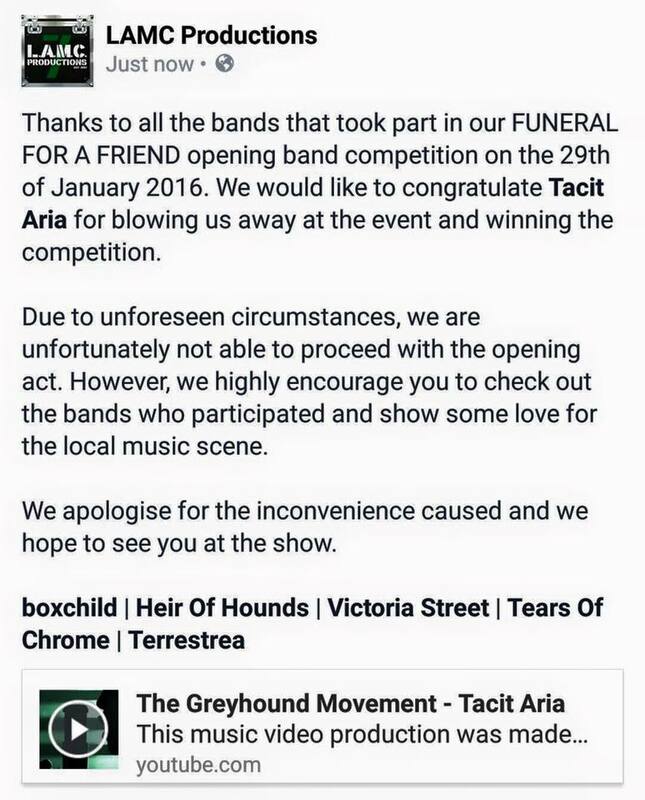 Local band told that they won’t be winning anything after they won a competition. I recently wrote an article titled Re-moving the arts, and it was a quiet piece about the lack of support for local acts in Singapore. And that although the arts and music scene does have a vibrant community that fights hard for recognition and a place in society it is only through proper funding and support that we’d be able to showcase our talents to the world. 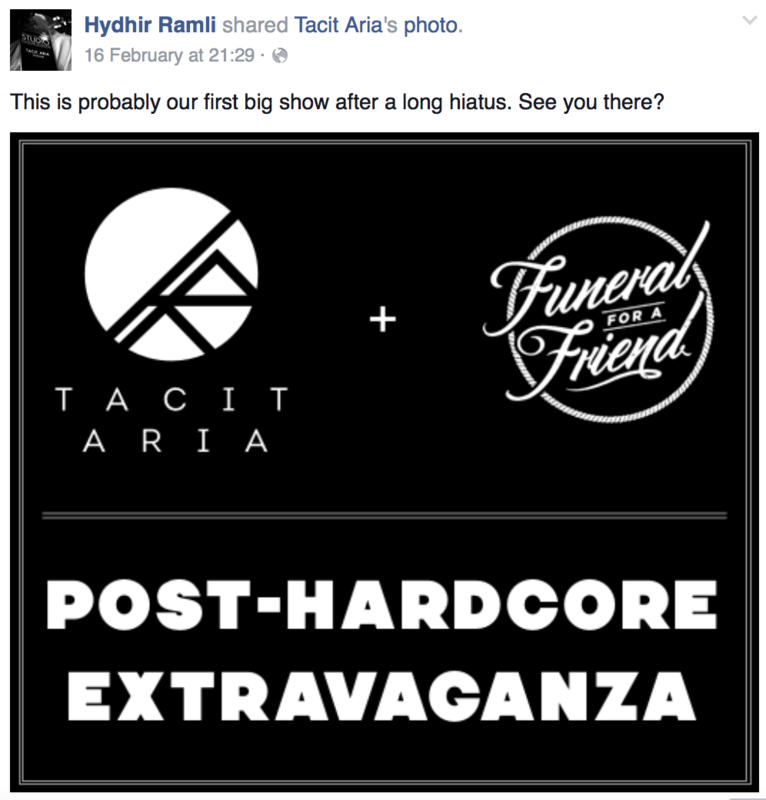 So when news broke recently that a local band slated to open for international act Funeral For a Friend was told they would not be performing as the opening act anymore due to unforeseen circumstances, many in the community cried foul. LAMC productions had organised a competition for local acts, and the winning band would earn the opportunity to put it’s name out there and open the act for Funeral For a Friend. Tacit Aria the winning band was undoubtedly proud to have won and were pretty enthusiastic about it. Their joy was short-lived, citing evidence from Facebook, that joy lasted all of 1 day. It definitely isn’t an end to the arts and music scene in Singapore, however it should be an eye opener to the plight of what local talent put themselves through.